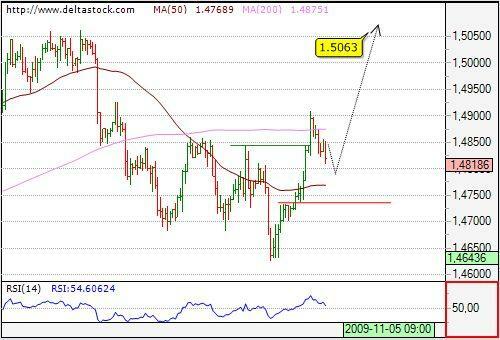 EUR/USD is in a broad consolidation, after bottoming at 1.2331 (Oct.28,2008). Technical indicators are neutral, and trading is situated above the 50- and 200-Day SMA, currently projected at 1.4134 and 1.3523. The consolidation below 1.5022 has ended at 1.4937 low and the uptrend is renewed towards 1.5124. Crucial on the downside is 1.4970. A short-term bottom has been set at 87.12 and a large consolidation is unfolding since. 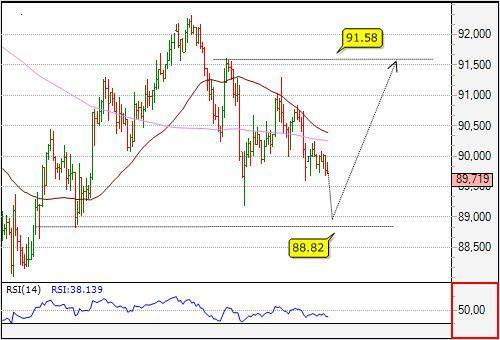 Trading is situated below the 50- and 200-day SMA, currently projected at 94.86 and 94.84. The expected reversal is already a fact, although it took place few pips above our target area at 89.17-88.83. Intraday bias is positive for 90.30, initial support comes at 89.67 and next target beyond 90.30 is 91.58. Yesterday's break above 1.6703 resistance denied our idea of further depreciation and it looks like the pair is caught in the 1.6520-1.6840 range on the 2 h. chart. 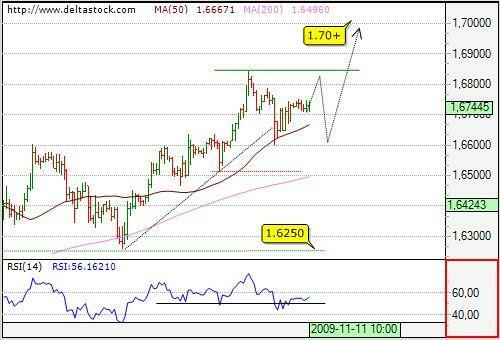 Intraday bias is positive for 1.6815 with a support around 1.6709.